A new Vijayapura District Court Recruitment 2018 Notification is released now. Job Seekers who are looking for Karnataka Government Jobs 2018 they can apply for 39 Stenographer, Typist, Peon, Copyist Vacancies. The complete information of Vijayapura District Court Recruitment 2018 is provided here. Aspirants who are applying for Vijayapura District Court Vacancies 2018 they can apply from 4th January 2018 to 3rd February 2018. On this page, we are providing full details such as Post Wise Vacancy Details, Education Qualification, Age Limit, Selection Process, Application Fee, Salary Details, Important Link are clearly explained in the below section. So, applicants must read the entire article and start to apply for Vijayapura District Court Jobs 2018. In the below section you can get full details. Interested candidates can apply for Vijayapura District Court Recruitment 2018. Vijayapura District Court has revelated a new employment notification to recruit proficient candidates for 39 Stenographer, Typist, Peon, Copyist Vacancies. Job Seekers from Karnataka State can use this chance and apply for Vijayapura District Court Recruitment 2018. As per the notification applying aspirants can fill the form and submit it before 3rd February 2018 through online mode. To applying for Vijayapura District Court Recruitment 2018 candidates have to satisfy the eligibility criteria. Students who completed their 7th, 10th/ 12th class from any recognized board they are eligible to apply for Vijayapura District Court Jobs 2018. Job Entrants who are decided to applying for Stenographer, Typist, Peon, Copyist Posts those age limit should be between 18 Years to 35 Years. Refer the notification and view age relaxation details. Candidates who are against to apply for Vijayapura District Court Recruitment 2018 Notification must satisfy all the norms which are clearly shared in the below. Grab the latest Vijayapura District Court Recruitment 2018 Notification. While coming to the official details the Vijayapura District Court is ready to recruit 39 Stenographer, Typist, Peon, Copyist Vacancies. We are informing to all the candidates apply before 3rd January 2018. The Vijayapura District Court is only receiving online application forms. So, candidates who are interested in Vijayapura District Court Jobs 2018 must grab this chance. And the applied candidate’s selection process is based on Written Exam, Type Writing, and Senior Shorthand Exam. Applicants who clear all the recruitment rounds they will get a job in Vijayapura District Court. Applicants age limit must be 18 years to 35 years. Those who are satisfied with all the eligibility criteria must use this Vijayapura District Court Recruitment 2018 Notification. Also, check the official website of Vijayapura District Court and refer more updates. Candidates who are interested in Vijayapura District Court Vacancies 2018 they must grab this fantastic opportunity. 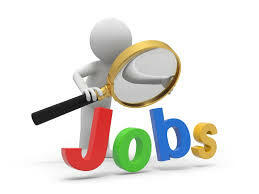 Visit our website Sarkari Recruitment and check frequent updates about Karnataka Government Jobs. Aspirants who satisfy the essential requirements for the Vijayapura District Court Recruitment 2018 must submit their application form on or before 3rd February 2018. Applicants must follow the below given simple procedure and apply through online mode. Coming to the application fee details UR and OBC category people need to pay Rs. 200/- and SC/ ST candidates must pay Rs. 100/-. In order to get a job in Vijayapura District Court candidates must clear all the selection rounds. Applicants selection process is completely based on Written Exam, Type Writing, and Senior Shorthand Exam. The Vijayapura District Court offers good salary package for selected candidates. Remaining details such as Post Wise Vacancy Details, Eligibility Criteria, Pay Scale, Selection Rounds, Important Dates, and links are furnished in the below. So, we request all the applicants before filling the application form refer the entire stuff. Follow the below procedure and apply for Vijayapura District Court Recruitment 2018. In this entire article, we mentioned clear details about Stenographer, Typist, Peon, Copyist Jobs. Candidates can look at the below section and check additional information. Hope the providing data is very helpful for the job seekers who are applying for Vijayapura District Court Recruitment 2018. Candidates who possess their 7th, 10th/ 12th in any recognized board are eligible to apply for Vijayapura District Court Jobs 2018. The upper age relaxation is as per Vijayapura District Court norms. In the below section we attached an official notification. So, applicants can refer the notification and check more details. Job Seekers who want to get a job in Vijayapura District Court they must clear all the selection rounds. Candidates must face Written Exam, Type Writing, and Senior Shorthand Exam. Candidates who perform well in recruitment rounds they will get a job in Vijayapura Distrcit Court. And SC/ ST candidates must pay Rs. 100/-. For Stenographer: Rs. 14550/- to Rs. 26700/-. For Typist and Copyist: Rs. 11600/- to Rs. 21000/-. For Peon: Rs. 9600/- to Rs. 14550/-. Starting Date to Fill the Online Application Form: 4th January 2018. The Last Date For Submitting the Online Application Form: 3rd February 2018. Visit the official website of Vijayapura District Court ecourts.gov.in/vijayapura. On the home page look for Vijayapura District Court Recruitment 2018 Notification. And eligible candidates must download the application form. Fill the form with necessary details properly. Once verify the details and pay the application fee. Submit the form before the due date that is 3rd February 2018. We suggest all the applicants check the details clearly and apply for Vijayapura District Court Recruitment 2018 before 3rd January 2018. Bookmark this web page and get more updates on Vijayapura District Court Jobs 2018. Check your examination results on Sarkari Result.